Prof. Ella Shohat is an Iraqi Israeli woman living and teaching in the U.S. She is considered one of the leading postcolonial theorists. Shohat was one of the first to write and theorize about the experience of Mizrahim, Jews from non-European/Eastern descent in Israel. 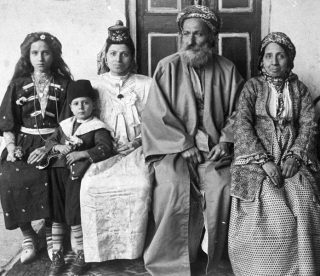 To become part of the European project Jews had to de-orientalize themselves and were contrasted with Muslims and Jews from the Orient. Her current studies deal with the multifaceted and long history of Judeo-Muslim culture that is not often acknowledged.